The film, launched earlier this month, will travel across the globe from mid-May via Exhibition On Screen with support from the Arts Alliance and will eventually be available as a DVD from Seventh Art Productions. I attended a couple of the first screenings, a private viewing at Soho House in central London followed by a Q&A with art film innovator and producer Phil Grabsky, at Richmond’s boutique Curzon Cinema. Having been fortunate enough to visit the RA show, I was intrigued to see how this large scale art exhibition featuring so many pre-eminent painters and such an extensive body of work, might translate into film. One of the thrills of attending any good art event, alongside experiencing the works to scale and in their true colours, is the chance to get up close and survey the brushstrokes – this is particularly relevant with oils. These big scale pauses in the film’s action were matched by devastatingly delicious slow shots of flowers, lush foliage, chromatic herbaceous borders, mesmeric lily ponds and sculptural trees swaying in the breeze, truly an “explosion of colour and emotion”, quoting Dr William Robinson, about whom more later. This amplification of the original is one of the main concepts behind Seventh Art Productions’ films. 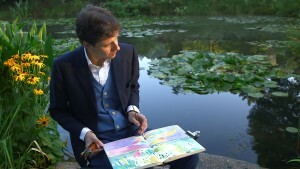 In addition to those crucial lingering close ups, the production team have delved into the back stories of several of the featured artists and their works, travelling to their studios, houses, and gardens of course, to enrich viewers’ knowledge and understanding of some of the key pieces in the show. 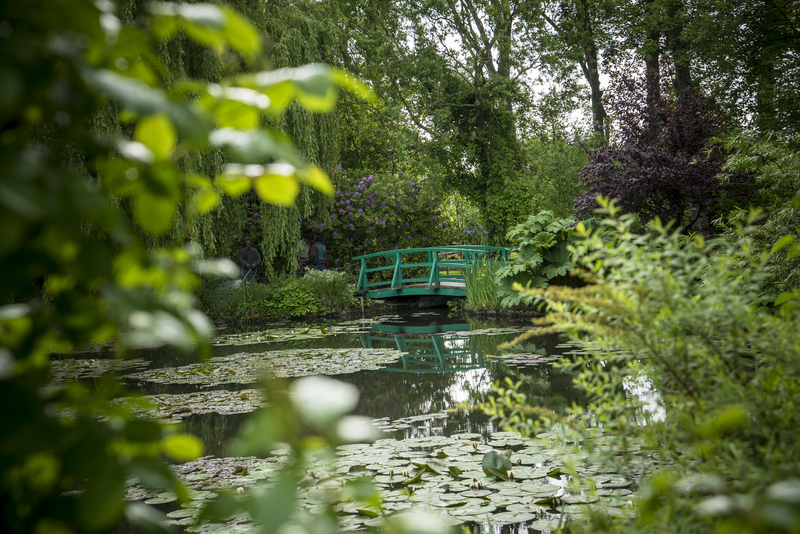 Giverny’s English head gardener, James Priest, shared his thoughts on the planting of Monet’s jewel, illustrating its ground-breaking approach to colour and landscaping, the eye of the artist ever present in the detail. 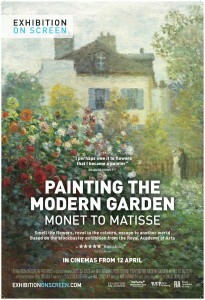 Via this exposé we were able to appreciate how the garden evolved through time alongside the artist’s work, following a progress from the purely figurative through to vast abstractions, taking into account the passing seasons and Monet’s increasing age. 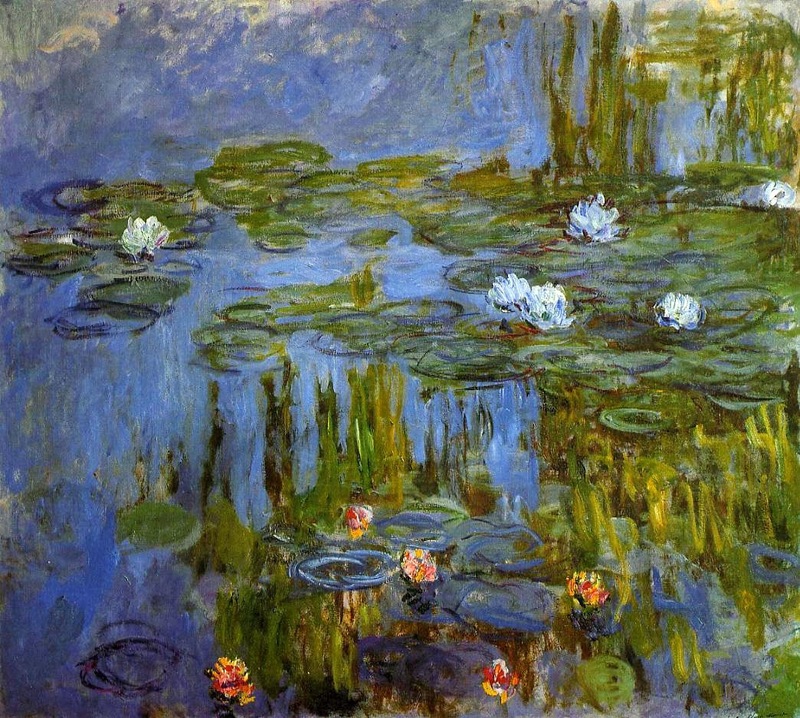 “If I could see one day Claude Monet’s garden, I really feel I would see a garden in more tones and colour than flowers, a garden which could be less an old flower garden than a colourist garden, so to speak. 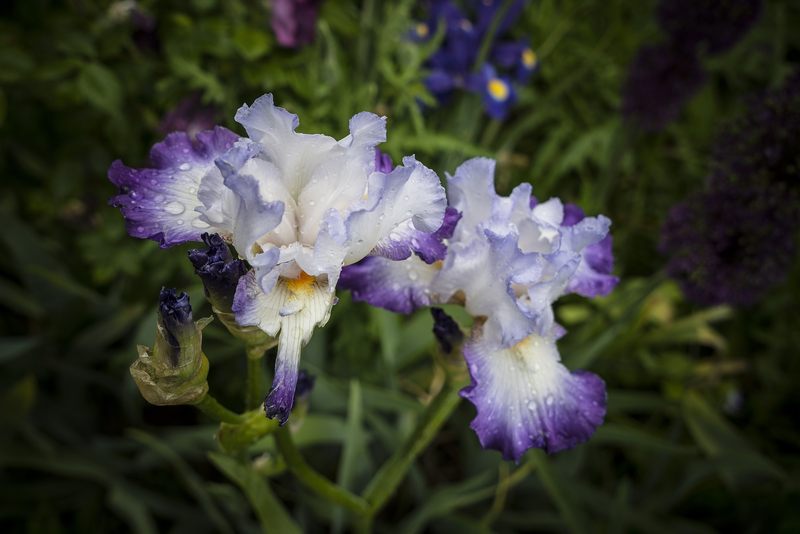 Flowers displayed together but not as nature because they were sown so that only flowering at the same time as matching shades, harmonised to the infinite in all ranges of blue or pink. This powerfully manifested painter’s intention in one sense dematerialised from anything but colour.” – these lines written by Marcel Proust (Fondation Monet) are one of many supporting quotes in both the film and the original RA show. This ‘sculpting of nature’ as Goudie describes it is testament to the visual skills of the artist gardener and the painter and the film draws closely on these parallels which also formed the basis of The RA’s exhibition. Creativity is celebrated in this symbiotic crossover between art, the science of horticulture, structure and engineering and we are given some detail in each of these spheres. The enthusiasm of Goudie and his fellow presenters is compellingly drawn out by film director David Bickerstaff in interviews with, to name a few, art historians Ann Dumas, the Royal Academy show’s curator, and Dr William Robinson, curator of modern European art at the Cleveland Museum of Art, as well as with gardener, landscape artist and television personality Dan Pearson. 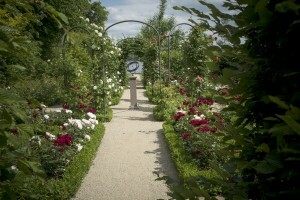 Critic, historian and garden writer Tim Richardson, described the best gardens as ‘artworks in their own right’. 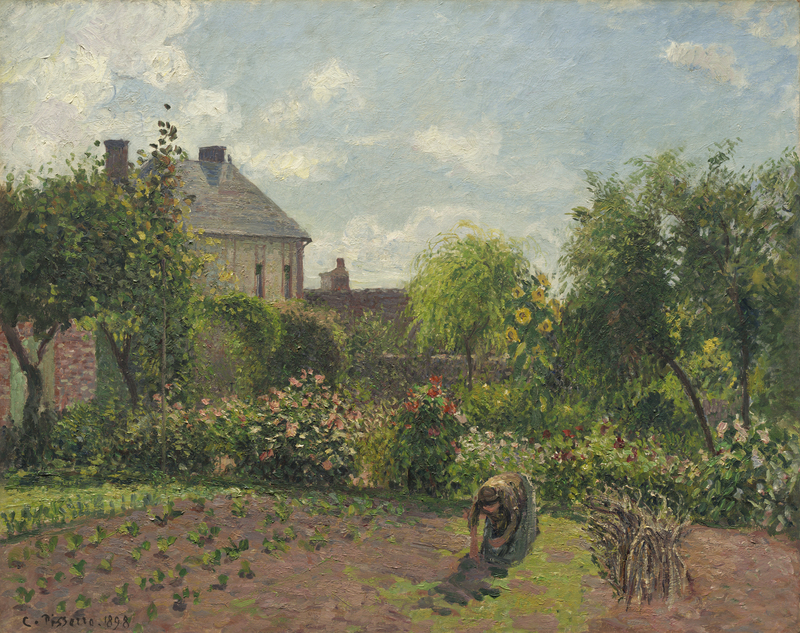 Later in the film the evolution of garden design was covered giving particular attention to the contemporary work of Gertrude Jekyll and William Robinson whose complementary approach to garden style – one focusing on colour and the other on the naturalistic and ‘wild’ plantings – were hugely influential at the time. 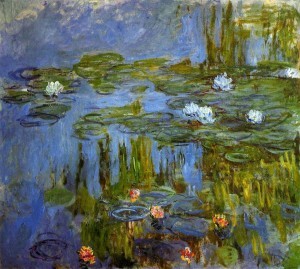 While Claude Monet provides the most popular pull for both the original art show and the film, which informed the producers’ decision to keep the same title, other key artists are comprehensively featured. 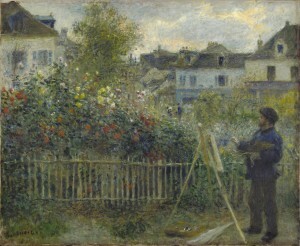 These include Henri Le Sidaner, who settled in Gerberoy, France, where both his garden and house became a constant source of inspiration and Max Liebermann, whose naturalistic style evolved through an altogether different approach to planting in the celebrated landscape which he created on the shores of Lake Wannsee in Germany. We also travelled with the film’s crew to Spain visiting Joaquín Sorolla y Bastida’s house, now a museum dedicated to his work. 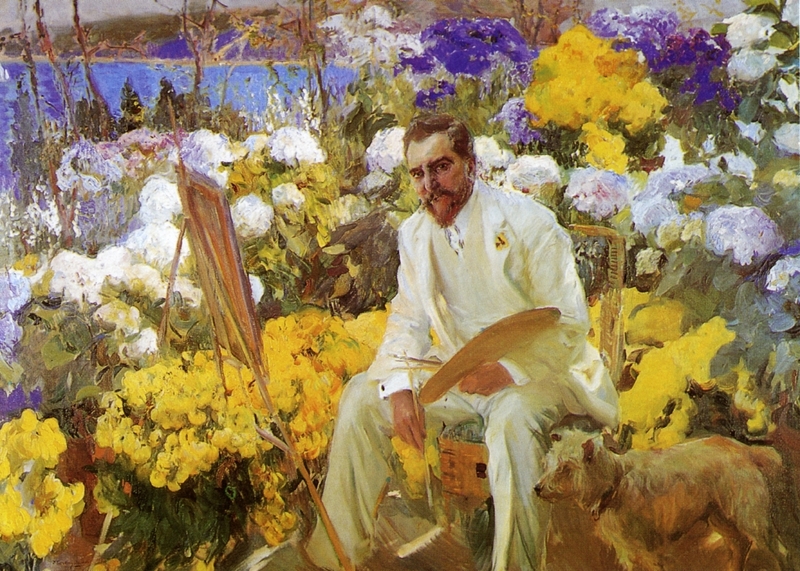 We gained insights into his painting style and his 1911 portrait of Louis Comfort Tiffany was discussed in amusing detail. 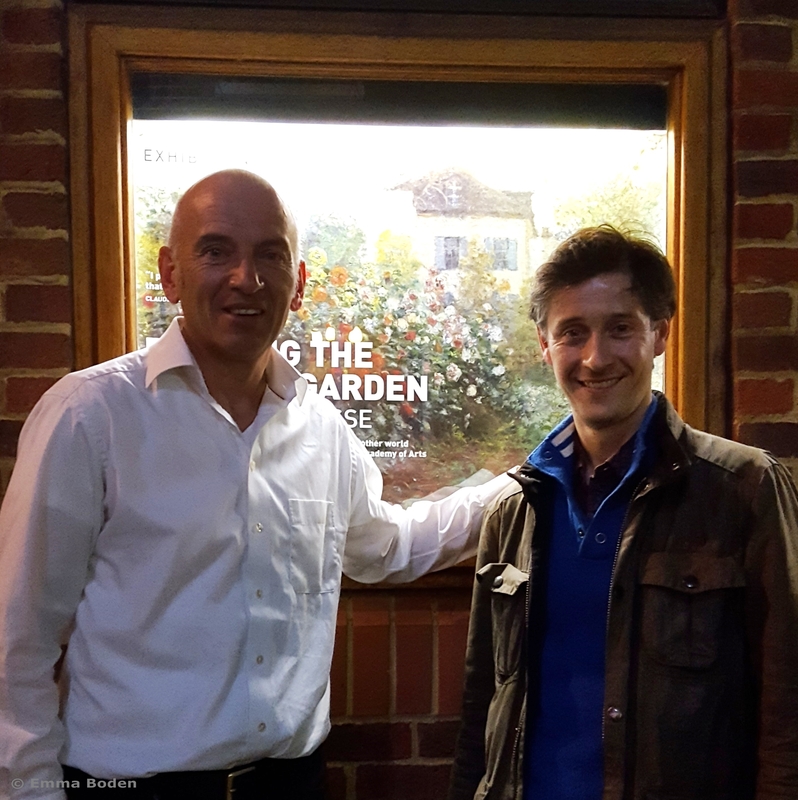 It was during this visit to Madrid that I noted the shift in the score to a melodic Spanish guitar piece – the film’s music, composed by Asa Bennett, sensitively underlining the story. 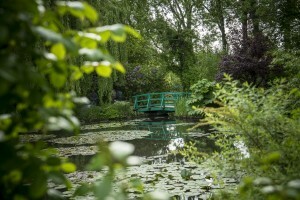 In much the same way as the exhibition upon which it was based seeks to present a cohesive ensemble, so did the film, detailing as many artworks and inspiring gardens as possible, layered with a lively and informed discourse to form a complete visual feast. 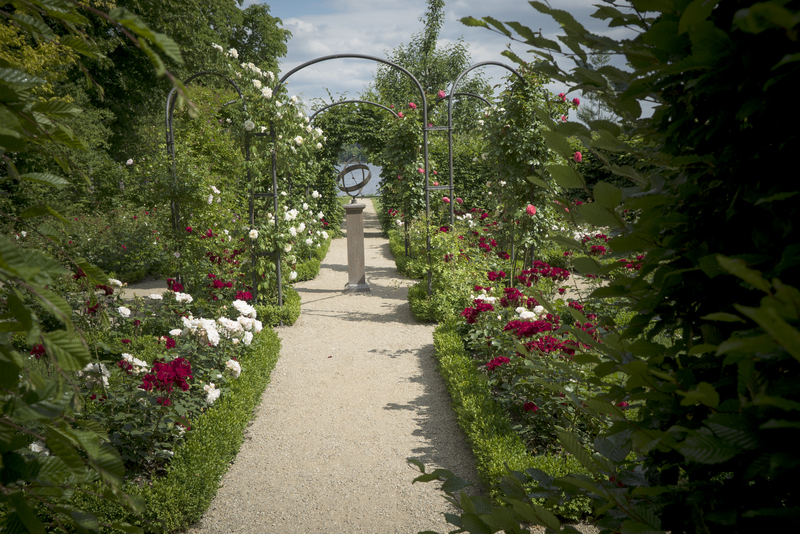 Garden lover, floral fan, artist, creative thinker, go see – as an adjunct to the RA exhibition it is informative and entertaining. This film is also valuable in its own right creating an enlightening experience which took us into and some distance beyond the show. ‘Painting the Modern Garden: Monet to Matisse‘ is now showing in selected independent cinemas across the UK and will be released in the US and elsewhere from the 12th May onwards – to find out where visit Exhibition On Screen’s website. UPDATE July 2016: a DVD has now been released. Visit Seventh Art Productions for details and to find out more about their other arts and documentary films. Find out more about Arts Alliance and their other projects.